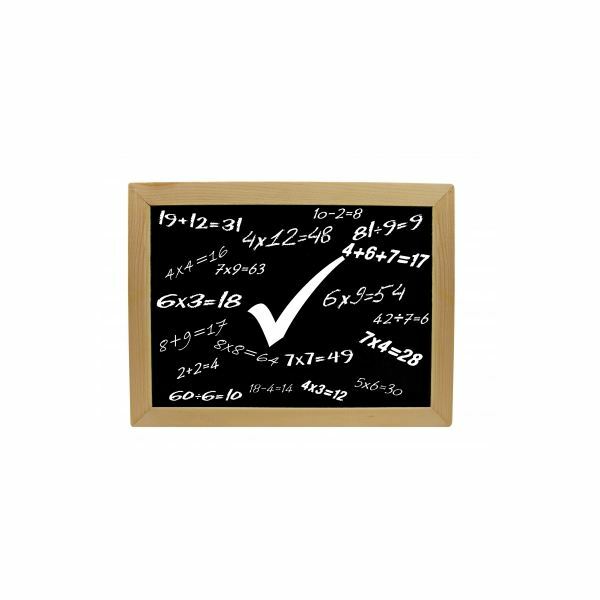 As you work on learning absolute value and integers, take notes on the material– it becomes a vital part of a quiz. “Absolute value" of a number is its placement away from zero on a number line. The number three is three places away from zero, making its absolute value three. In the same way, the number -3 is three places away from zero. However, instead of being expressed as -3, it is expressed as a positive. You can force a number to become a negative when you place a minus sign in front of it. When you do this, you negate a positive number. Look at some numbers: , , [-5], , [-1]. By adding brackets around each number, you read it as “the absolute value of [X]." Equations are written out as:  = X, making X = 8. Another sample could be [X] = 2, making this X = 2 or X = -2. If you have an equation written as a negative, there is no solution– the absolute value must be positive. When an absolute value has regular numbers, also called “constants," it is easier to work with them. Bring the number line back out as you work on the different operations affecting positive and negative integers. Beginning with addition, a positive integer is added when you move over to the right on the number line. Add: 1 + 3 = 4. Add a negative integer by moving in the opposite direction–to the left–on the number line. Add two negative integers: -5 + -2 = -7. Add integers with different signs by keeping the sign of the number with the largest absolute value, and then subtract the smallest absolute value from the largest number: -8 + 2 = -6. Add a negative integer to a positive: 3 + -7 = -4. In this operation, you keep the sign from the integer with the largest absolute value, and then subtract the smallest absolute value from the largest. Keep the negative sign (-4). Subtract an integer by adding its opposite: 4 – 6 = -2. Subtract two negative integers: -5 – [-8] = 13. To subtract two negative integers, add their opposite. Multiply two positive integers and get a positive result: 4 x 4 = 16. When you multiply a negative with a negative, your answer will be a positive: [-8] x [-7] = 56. When you multiply a positive times a negative, your answer will be a negative:  x [-6] = -54. Finally, when you multiply a negative times a positive, your answer will, again, be a negative: [-8] x  = -64. Take this a little further: If your equation has an odd number of negatives, the final answer is a negative; if your equation has an even number of negative signs, the answer must be a positive. [-3] x [-2] x [-5] = -30; [-3] x  x [-5] = 30. Dividing positive and negative integers works in the same way as if you are multiplying. [-4] /  = -2. / [-3] = -5. [-15] / [-5] = 3.